i just feel so lost lately. actually, i started to feel lost when i started nursing school. the past year and a half has been really tough on me. it’s been blow after blow to my self-esteem and i can’t figure out why it is that i can’t do as well as i know i can. what happened? i just got so good at faking being fine and then falling apart occasionally, picking up enough pieces just so i can manage to more forward. every little thing gets to me. i think back to when i quit my job, went back to school and moved out on my own. i was so much stronger, so much more courageous, so much more clear about my future. and now i’m just struggling with my life, my relationship with gibius, my family, his family, my friends, where i’m headed and always always struggling with where i’ve been. i hold everything in and it’s too much at times. reading about a little bit about cat stevens and listening to this song has been inspirational. it at least gives me something to look forward to… a reflection of where i was headed before, where i want to be headed now. ~Herbalist Carol McGrath as told to her by a Native-American woman. The same thing is true in Christianity. From time to time, you feel that you are very far away from your Christian brother. You feel that the brother who practices in the Buddhist tradition is much closer to you as a Christian. 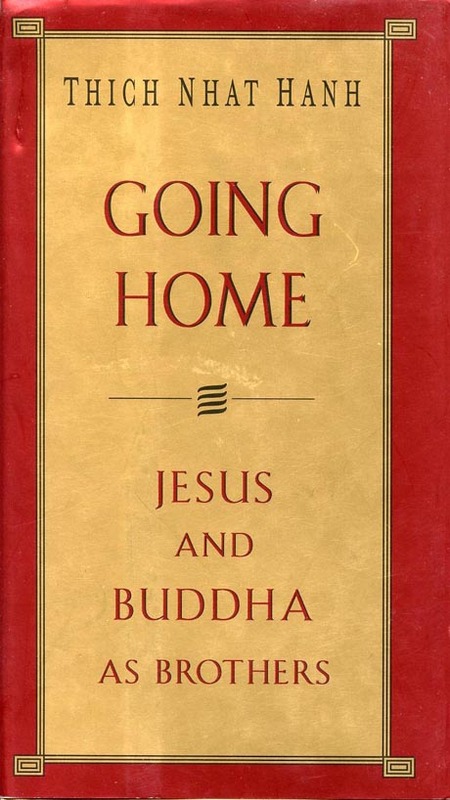 So Buddhism is not Buddhism and Christianity is not Christianity. There are many forms of Buddhism and many ways of understanding Buddhism. There are many ways of understanding Christianity. Therefore, let us forget the idea that Christianity must be like this, and that Buddhism can only be like that. We don’t want to say that Buddhism is a kind of Christianity and Christianity is a kind of Buddhism. A mango can not be an orange. I cannot accept the fact that a mango is an orange. They are two different things. Vive la difference. But when you look deeply into the mango and into the orange, you see that although they are different they are both fruits. If you analyze the mango and the orange deeply enough, you will see small elements are in both, like the sunshine, the clouds, the sugar, and the acid. If you spend time looking deeply enough, you will discover that the only difference between them lies in the degree, in the emphasis. At first you see the difference between the orange and the mango. But if you look a little deeper, you discover many things in common. In the orange you find acid and sugar which is in the mango too. Even two oranges taste different; one can be very sour and one can be very sweet. a lot of people decided not to take this elective because they thought it was going to be hard. i actually wanted to take this elective because i know it will be beneficial. i hope to gain a better perspective and to grow because of this class. So I was finally able to catch up on some reading today (thanks, nursing school) and saw that Aung San Suu Kyi was released on Saturday. Two years ago, during the time that I will begin to call “The Golden Age of My Nursing Education,” I wrote an essay about her for my Political Science class (side note: Yes, I’d already taken PoliSci for my first degree but decided to re-take some courses to raise my GPA in hopes of increasing my chances of getting into nursing school. Little did I know what kind of hell it was going to be after I got in). I’d considered posting this paper on here before but decided not to do it for fear that some scheming college student will try to plagiarize my paper. But what the heck, what’s the point of keeping this? I’ll share it. Hope you enjoy! Perhaps there is no greater theme in recent history, political or social, than those of liberty and democracy. Unfortunately, these are themes often underlined by severe tragedies. Throughout the world, beacons of freedom have risen from under the oppression of and to fight for the people, often giving much of their lives to a bigger cause. Nelson Mandela, a symbol of human rights, was imprisoned for 27 years for his opposition to the Apartheid system of South Africa. Both Mahatma Ghandi and Martin Luther King, Jr. sacrificed their lives fighting for the freedom of their people. These three and others like them challenged not only entire governments for their unfair practices but also the minds of others by bringing to the surface a simple yet profound question: Would you risk your freedom for the freedom of your people? A Burmese woman, Aung San Suu Kyi, gave her answer. Aung San Suu Kyi’s early life set the stage for her to become the courageous and pacifistic freedom fighter the world knows today. 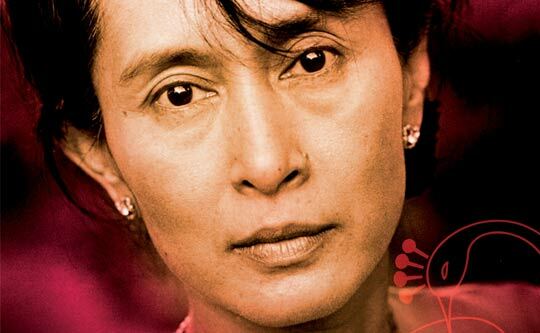 She was born in 1945 to General Aung Sun, once a national leader of Burma, and Khin Kyi, who eventually became an ambassador to India and Nepal (“The Nobel Peace Prize 1991”). As the daughter of an ambassador, she would accompany her mother to various countries, receiving her education in Rangoon (Burma), New Delhi (India), London (England) and New York. Her high global mobility would qualify her as growing up as a Third Culture Kid, a term used to refer to kids “who spend a significant part of their developmental years outside their parents’ culture… adjusting to a wide variety of influences” and “[incorporating] elements of both their host culture and their passport culture into a ‘third culture’” (Pollack, Van Reken and, Gould 2002, p. 151). Such individuals grow up to become tolerant and have an appreciation for the thought processes of others. The influences of her political parents and her international upbringing are the foundations to her role as a revolutionary and her stance on democracy she would take later in life. Just as her parents and background have granted her voice in favor of human rights and democracy, so would her home country of Burma give her a stage on which to use it. The death of Burmese democracy took place in 1962, paving the way for General Ne Win’s Socialist Programme Party to implement a military dictatorship (“A Biography of Aung San Suu Kyi”). Under this corrupt and authoritarian leadership, the people of Burma were denied “free elections and freedom of expression” and were subjected to “torture, political imprisonment, and other human rights abuses” (“Campaign for Human Rights”). The plight of the Burmese people would bring Aung San Suu Kyi, who answered their cries for a new leader only to be wrongfully robbed of her earned position by the reigning regime. After 30 years without a national election, Aung San Suu Kyi’s National League for Democracy won 392 of the 492 parliamentary seats, winning her the right to serve as Burma’s Prime Minster (“The Nobel Peace Prize 1991”). However, the military regime, or junta, who had placed Aung San Suu Kyi under detention even before the election, prevented her from taking her seat as Prime Minister, declaring that “the election was not for a parliament” and “Suu Kyi has been in and out of house arrest ever since (“A Biography of Aung San Suu Kyi”; “Brief Biography of Aung San Suu Kyi”). The Burmese government has offered her freedom if she were to leave the country, something that she refuses to do in order to fight for her people, knowing that she will not be allowed back. Even though the military junta of Burma has actively tried both to silence and to discredit her, the world has had overwhelming response to Aung San Suu Kyi’s conviction. Numerous leaders from various countries have voiced their support for Suu Kyi, calling for her release, with both Canada and Ireland granting her honorary status as a free citizen. In 2007, a letter, demanding Suu Kyi’s freedom, was released and signed by nearly 60 prominent world leaders, among them are Jimmy Carter, George H. W. Bush, Bill Clinton, former British Prime Minister Margaret Thatcher and former South Korean President Kim Dae-jung” (Agencies). In addition to this, the United Nations’ Secretary General Ban Ki-moon, has also voiced his support for the release of Su Kyi (Agencies). Not only has she had international support in favor of her release but she has also “won numerous international awards, including the Nobel Peace Prize, the Sakharov Prize from the European Parliament and the United States Presidential Medal of Freedom” (“The Nobel Peace Prize 1991”). Eleven months ago, the US House unanimously voted, 400 to 0, to “award Burmese pro-democracy leader Aung San Suu Kyi its highest honour—the Congressional Gold medal” (“US House Honours Burma’s Suu Kyi”). Though imprisoned and largely isolated not only from her family but also from the rest of the world, people everywhere have rallied behind her and have shown tremendous support. “Aung San Suu Kyi: The Nobel Peace Prize 1991.” Nobel Prize. 21 November 2008. “Brief Biography of Aung San Suu Kyi.” US Campaign for Burma. 21 Nobember 2008. Journal of Loss and Trauma. April 2002: 151-156.
so i haven’t been fasting for ramadan. i wish i could say that it was simply just because i can’t deal with the hunger. it is because i could not think of anything but the hunger. and when i’m fasting just for the sake of doing it, then my motivations are wrong. i’m not having the clarity of mind that i need to have and i don’t want to view fasting as a form of punishment. it needs to be something to which i look forward. it needs to be something that helps me grow. the semester begins tomorrow and i think the challenge that will help me be the person i want to be is to learn acceptance to changes and to things i cannot control. life will be life, people will be people, i’m going to be who i am supposed to be when it’s time. there are things i can do to help me move forward but i can not move faster than i am… and the same things can be applied to my expectations of others. a friend reminded me the other day that just because i see the potential in others, it doesn’t mean i have the right or it’s fair for me to expect them to live up to it. people are doing the best that they can and it’s not my responsibility to hold them to the same standards that i hold myself. this is quite a tall order for me but i will get there when i get there. and that’s how i will begin. wednesday was my last day of clinicals and i have to say, when i woke up at 5:30 that morning, i was not sure how i was going to make it through the day. between last saturday and that day, i must have gotten an average of two to three hours of sleep per night, and i definitely do not function well when i have not gotten my usual eight hours. given my emotional state from the previous evening and knowing that my patient for the day had just received devastating news regarding his health/disease process the day before, i was preparing myself for the saddest clinical day yet. but i had to go–this is what i signed up for. i arrived early and when my clinical instructor arrived, i warned her of the possibility of me breaking down some time during the day. she said i can go home but i told her that i would not have the time to write a paper to make-up for missing a clinical day. i expressed my concern about caring for a patient who would possibly be in the lowest spirits while i am not at my best and she offered for me to switch patients. but i committed to being his nurse, knowing that he would be in this state on the day i would work with him. there was no question, i had to try to make it through the day if not for myself but for him, who was much more vulnerable and fragile than i could ever feel that day. i got permission to skip the morning’s group meeting and headed up to the floor, afraid to face the day. but i could not have predicted what was in store for me. i asked the night nurse how the patient was handling the news and she said he was fine, considering the circumstances. this seemed promising. i went into his room to let him know i was here and if he needed anything. it was 6:30 in the morning and he appeared more melancholic than when i had met him exactly 24 hours prior. he shared his bad news with me, not knowing that i was briefed about his condition even before i met him. strangely enough, he was still in higher spirits than any other patient i had had this semester. it made me want to work that much harder for him. when i met my nurse, i figured i would be stuck with another one who did not care for passing on any wisdom and generally felt that student nurses just got in her way but i was wrong. she guided me that morning and entrusted me with responsibilities i had always been ready for but was never given by any of the other nurses. not only did i have my patient relying on me but my nurse actually believed in me and it motivated me that much more. throughout the morning, my patient and his family were laughing and joking. i was surprised and inspired. for these people to be there, enjoying the day, perhaps more than any other day, was a scene i was lucky to have seen. i escorted my patient and his wife for a procedure and while i felt their anxiety, i also felt their determination to fight. at the same time, they didn’t treat me as a worker or a servant. they talked to me as a person. the most touching conversation i had was with my patient when his wife had stepped out to make some calls. he began to reminisce about his life growing up, his father, his old job and friends, his dogs and his granddaughter. he confessed that he was afraid and that he had not gotten any sleep. aside from the feeling of pride that i had chosen those exact two nursing diagnoses for my care plan for him, i felt an immense amount of privilege to have been here with him and his family on this very day. i sat there and offered what i could say but mostly, i listened because i knew the comfort of having somebody there just listen while you let your emotions spill from your chest, through your lips and into somebody’s ears. as a student nurse, i could not provide much for him in terms of caring for his health at that point. but as a person, i could provide friendship. the rest of my clinical day with my patient carried on with one goal in my mind: to provide whatever i could, little as it may, not to my patient but for this man. he was a person too. and at the very core, that is what nursing is all about–touching people’s lives when they are at their worst and in turn, being touched by them and their circumstances. it is the human element. i am never going to look at this career as one-sided; i get something out of this too. every day, with every person, will give me humanity.